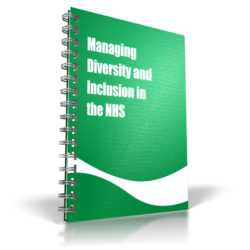 Busy NHS staff, managers, support staff and front-line workers need more than equality, diversity and inclusion awareness training. They need to be able to promote and foster equality and diversity rather than just having good intentions to comply with the laws, and to respond professionally to diversity. They need to be equipped with knowledge, skills and practical approaches to delivering on this agenda. Equality and diversity are fundamental principles that underpin much of what the NHS is tasked to do. The NHS Constitution 2012 has equality at its heart, requiring National Health Service organisations to provide a comprehensive service, available to all irrespective of gender, race, disability, age, sexual orientation, religion or belief, gender reassignment, pregnancy or maternity or marital or civil partnership status. In order to achieve this, the NHS aims to attract, retain and develop the best talent from all sections of the communities it serves. The NHS Knowledge and Skills Framework (NHS KSF) defines and describes the knowledge and skills that staff need to apply in their work to deliver quality services. Every post to which the KSF applies must contain the six core dimensions at the correct level for the role. Core Dimension 6 is equality and diversity. This resource aims to helps NHS staff to turn these guiding principles into tangible action. This pack provides an induction and refresher package for staff working in a range of capacities in healthcare settings. It can be used to form the basis either of formal induction training or guided self study for new and existing staff, including temporary staff, volunteers and people on work placement. 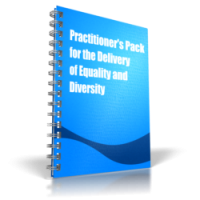 In addition, it can be used flexibly to support delivery of equality and diversity training sessions for those working directly with patients, their carers and families, members of the public, volunteers or staff. improve understanding and social awareness of why people behave differently and thus reduce the incidence of unwitting and unintentional discriminatory behaviour in the workplace and healthcare settings. The information in the pack is supplemented by a range of activities to help you test your understanding and apply your learning to your own situation. Many of the activities will kick start the preliminary thinking, planning and awareness raising processes you will need to embed equality and diversity into your area of work.